HONG KONG - DECEMBER 2: Close up of Swarovski christmas tree at Hong Kong International Airport, Terminal 1 on December 2, 2013 in Hong Kong, China. 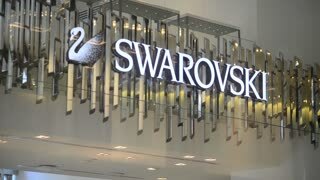 MALAGA, SPAIN - November 23, 2018 SWAROVSKI store, on famous street Calle Larios , in the centre of Malaga . People walking and shopping on Black Friday Day. Swarovski showcase in Duty Free. Trade hall. Ngurah Rai airport. Beautiful colorful manicure with rhinestones Swarovski on a woman's hand. A woman in the salon, getting a manicure with a nail beautician. Red nail polish. HONG KONG, CHINA - CIRCA JUNE 2014: Swarovski store. 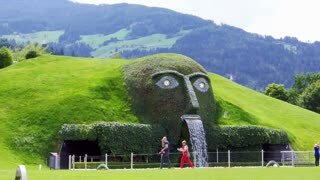 Swarovski AG is an Austrian producer of luxury cut lead glass ('crystal'), headquartered in Wattens. NEW YORK CITY - December 2014: Christmas tree and lights in Rockefeller Center at night. Gold flags surround tree with holiday lights on smaller trees. The holiday tree is crowned by a Swarovski crystal star. NEW YORK CITY - December 2014: Tourists and pedestrians walk Swarovski Crystal Christmas Tree Star Replicas in Rockefeller Center. Holiday trees and lights are placed in front of the star.